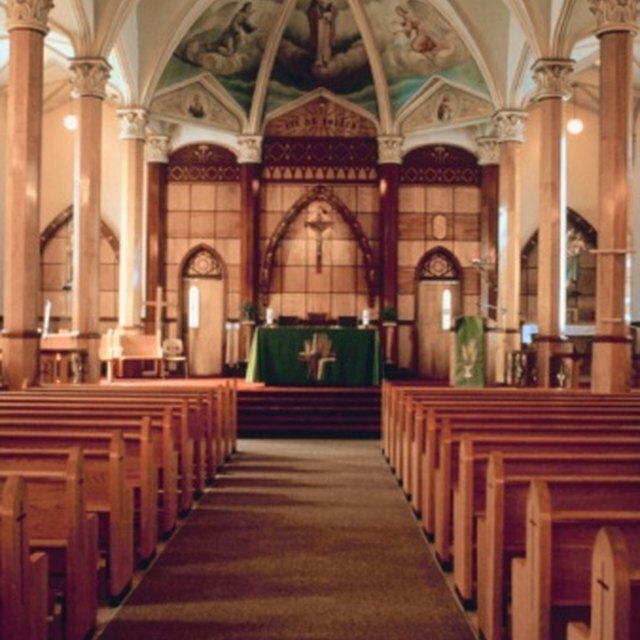 The altar for the Catholic Church has specific instructions regarding how it is decorated. These instructions are obtained through two church documents: The General Instruction of the Roman Missal (GIRM) and Built of Living Stones. 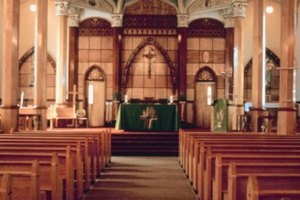 The guidelines in these documents illustrate what is allowed and expected when decorating the church during specific religious dates and holidays. It includes which decorations will be used and what direction they will face. To celebrate Christmas in the Catholic Church, there are particular ways the altar must be decorated. Lay a white or gold altar cloth over the altar. White and gold represent joy and triumph. These altar cloth colors are also used during the Paschal Triduum and Easter, as well as during the Catholic Holy Days of Obligation - the most important of the feast days. 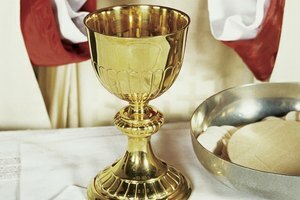 There should never be a plexiglass or similar cover on top of the altar cloth during mass. 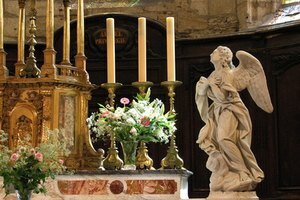 Decorate the altar and surroundings with seasonal flowers. Often poinsettias are the flower of choice during Christmas time. 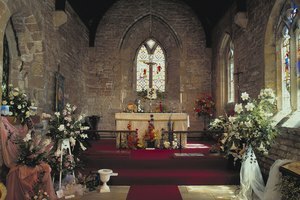 The GIRM recommends that flowers can be used to decorate the altar and church but should be used in moderation. Hang the crucifix on, next to, or above the altar. 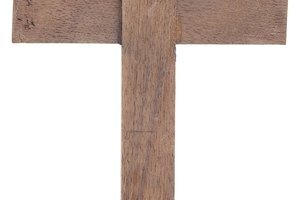 This ensures that the crucifix is immediately visible in relationship to the altar. The congregation should have full view of the crucifix. Place altar candles on each side of the altar. These candles will rest on top of the altar cloth and will be lit during mass. Christmas trees in the sanctuary or on the altar are not encouraged; they can distract from the meaning of Christmas. Decorate the altar and church around December 17th, with exception of any images of the baby Jesus which should not be displayed until Christmas Eve. Living plants are preferred over artificial plants. Armstrong, Reese. "How to Decorate the Catholic Church Altar at Christmas." 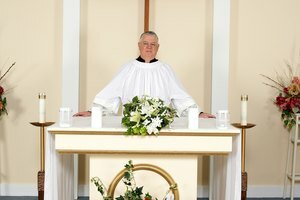 Synonym, https://classroom.synonym.com/how-to-decorate-the-catholic-church-altar-at-christmas-12082380.html. 29 September 2017.